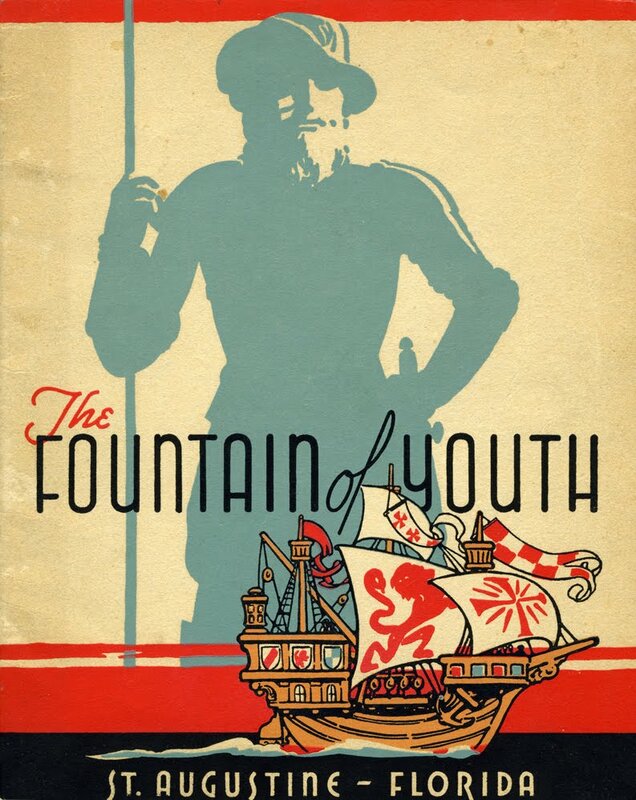 I went to the Extravaganza at Renningers Antique Market in Lake County this past weekend and one of my favorite purchases was a vintage brochure from the Fountain of Youth in St. Augustine. 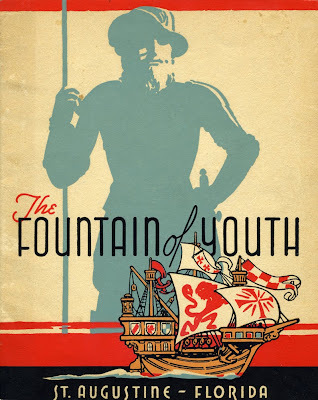 My best guess is that its from the 1940s or 5os; the design and illustrations are wonderful. 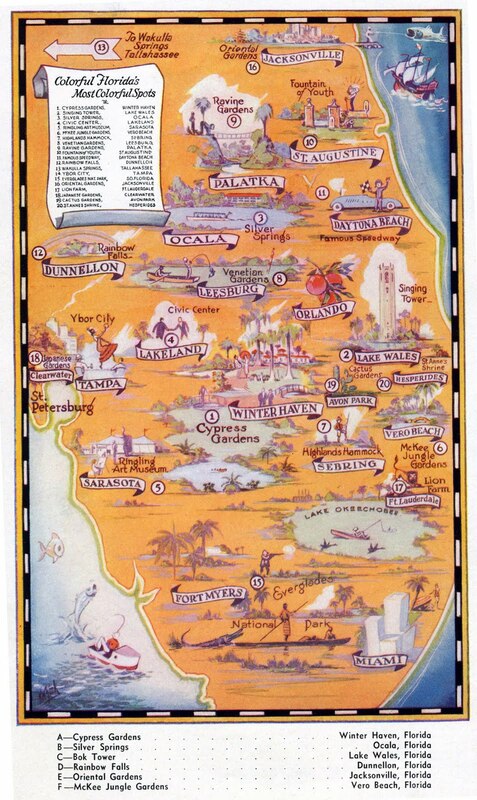 The inside back cover has a great map of the "Colorful Florida's Most Colorful Spots." 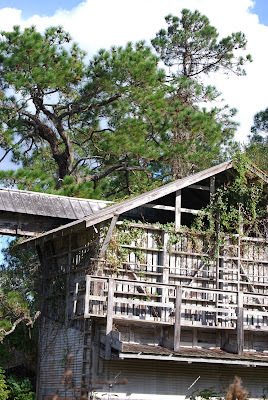 In addition to having familiar favorites like Cypress Gardens and Bok Tower, it has some that are new to me like St. Anne's Shrine in Hesperides, FL and the Cactus Garden in Avon Park, FL. St. Anne's has been added to my list for future exploration, while I'll have to do more research on the Cactus Garden. Also on the map is the Japanese Gardens in Clearwater. 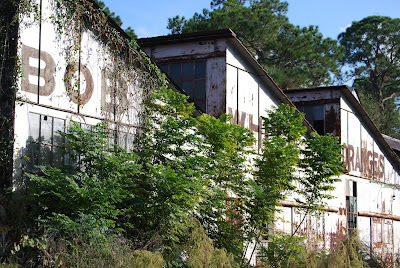 Fellow blogger Electrospark did a couple wonderful posts on that roadside attraction, also called Eagle's Nest Gardens, here and here. 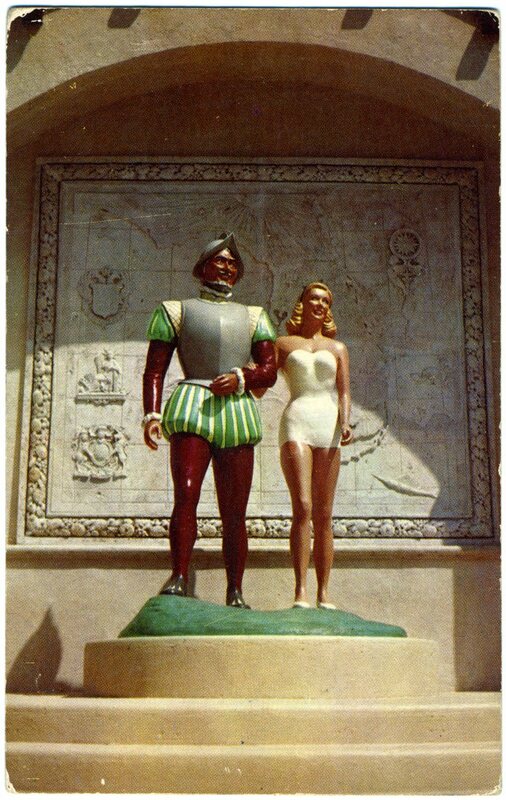 "This unusual statue of Ponce de Leon and a bathing beauty might as well be symbolic of all Florida in addition to being a theme of Ponce de Leon Springs, a major tourist attraction near DeLand, Florida. The discoverer of Florida represents the historic background and the girl is symbolic 0f Florida today and its glamour." -From back of vintage postcard purchased on Ebay. 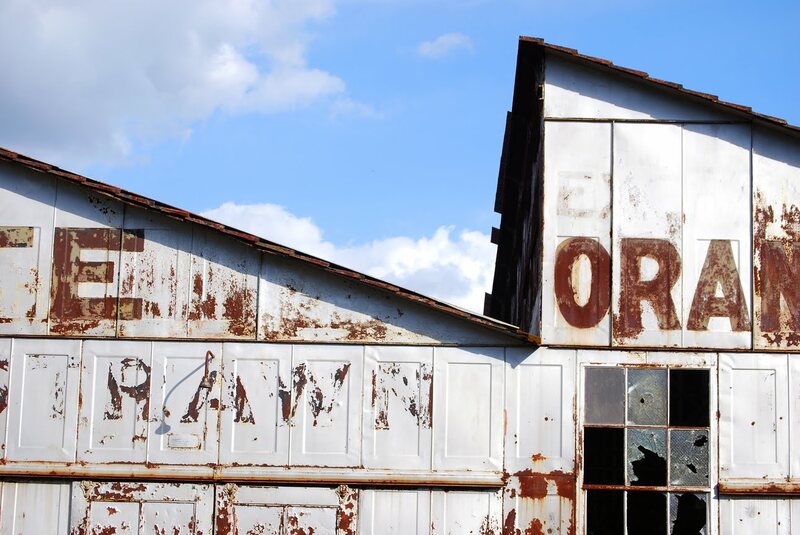 On my recent visit to De Leon Springs, I returned to the Strawn Citrus Packing House to show my friends and see how it was holding up. This collection of buildings in West Volusia County, on the National Register of Historic Places, is also on the most threatened list of historic structures in Florida. As you can see by the photos, it's falling into increasingly worse shape: more broken windows and it looks like more trespassing has occurred. The property still appears to be for sale and is obviously not being maintained. I found vintage photographs of the packinghouse in the State Archives that show the buildings in their prime. Shots on Flickr of the interior show it littered with wooden crates like the ones stacked in the bottom picture. 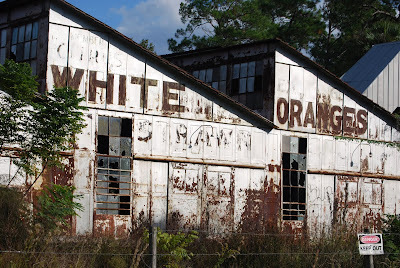 It would have been nice to preserve some of these artifacts of Central Florida's agricultural past, but I'm sure they've all been stolen or vandalized. 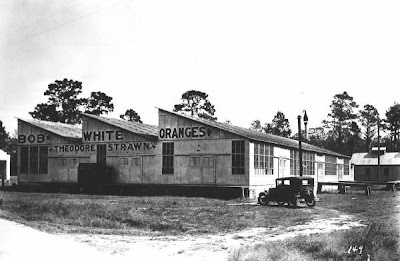 "The 12 contributing buildings and three contributing structures that comprise the packinghouse complex retain their original architectural integrity to a high degree and represent the largest citrus-related historic district documented in Florida. 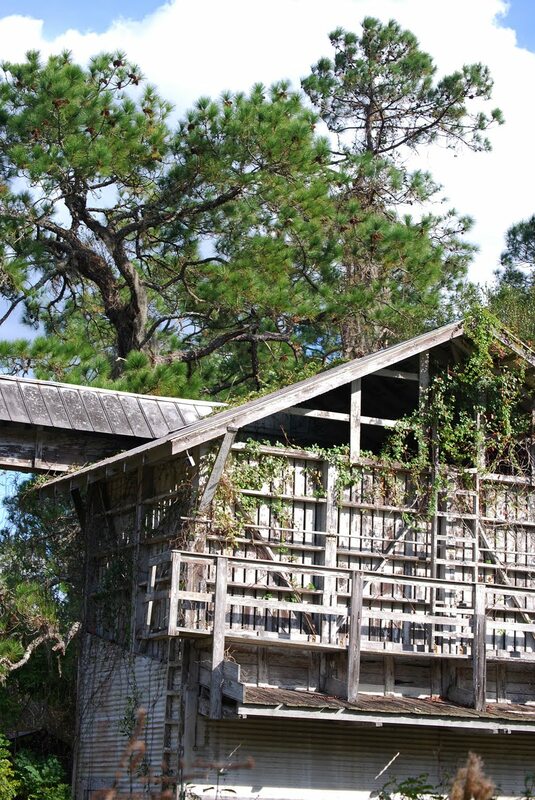 The sawmill is one of few examples left in Florida of an early 20th century timber processing operation. All the buildings and structures associated with this listing are in an advanced state of deterioration." The question is does anyone care enough to stop the deterioration? 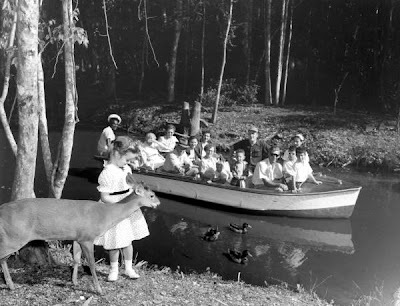 I received this as a Powerpoint presentation recently, showing wonderful archival images of watercraft throughout the state. 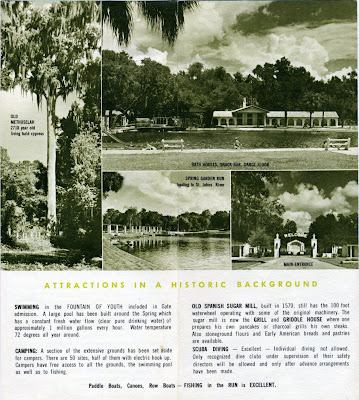 I picked up a vintage brochure for Ponce de Leon Springs from a little shop in downtown DeLand. It appears to be from the '60s or '70s, a period between the roadside attraction era of the spring and the current state park incarnation. There is no mention of water skiiing elephants, ski shows or boat rides anywhere in the brochure. As a matter of fact, the piece states emphatically "We have no caged animals. The birds are free to fly wherever they want to. No clipped wings." 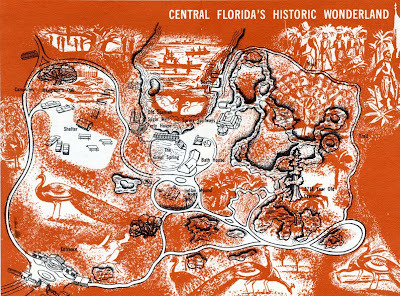 The map inside shows a much larger area than what is available to today's visitor with waterways and bridges intact that were probably created for the jungle boat cruise around the monkey island. 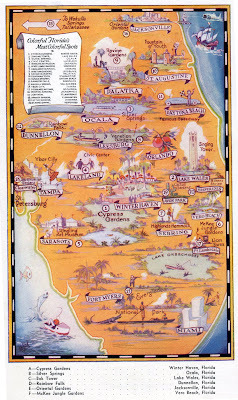 The key features on the the "Central Florida's Historic Wonderland" map are Hangman's Oak, an Indian Mound, the 2718 Year-old Cypress Tree, a trail extending far around the property and the old Spanish Sugar Mill. • The native Americans living in the area considered the spring to be a place of healing and they brought their "sick and wounded here for treatment"
• The Spanish built the original mill in 1570 and it is claimed to be "America's oldest machine"
To me it obvious that when this brochure was created the owners of the springs were moving away from the kitschy roadside attraction of the '50s to a place celebrating history and natural wonders. Swimming, camping, scuba diving and fishing are highlighted, setting the stage for what is now one of Florida's premier state parks. It is interesting to see the role this little place has played in Florida's history and to see how its use and marketing reflect the tastes and values of the times. 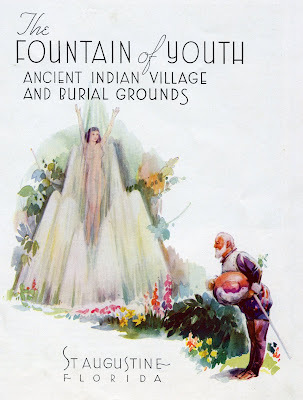 A place of healing by the native Americans, a resource for agriculture for the European settlers, a target during war years, a facility for the circus with animal acts during the postwar years and then finally a place of history and natural beauty. It will be interesting to see what stamp our generation makes upon this timeless natural wonder. 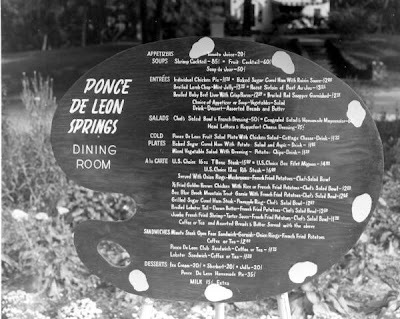 Note: Ponce de Leon is in a diaper after bathing in the "Fountain of Youth"
Yesterday I took some out of town visitors to De Leon Springs for a delightful pancake lunch and learned more about what the place was like when it was a roadside attraction. But first this tip: the restaurant is much less crowded on a weekday at lunch. 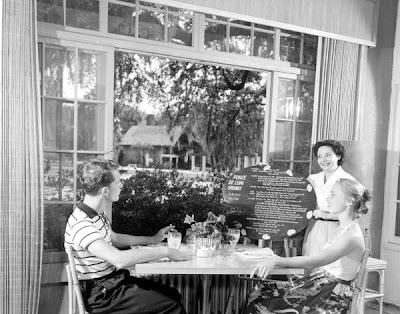 While you might experience a wait of an hour or more during a weekend morning, we were able to walk right in and get the best table in the house, by an open window in front of the gigantic water wheel. A light breeze came across the water and cooled us and the sound of rushing water was audible below the water wheel. Well worth taking a day off for! 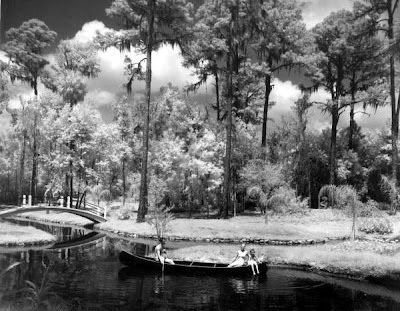 "My Dad, Bill Green, trained Queenie to water-ski at Ponce de Leon Springs in the winter of 1958-1959. I water-skied with Queenie the winter of 1959-1960. Postscript: Liz Dane, who performed with Queenie, pointed out that the elephant in the painting at De Leon Springs is actually Sunshine Sally, a circus elephant who was Queenie's predecessor. 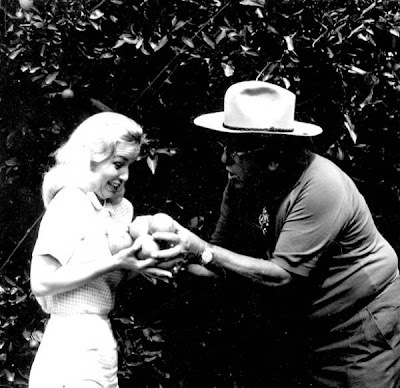 Liz and Queenie performed at De Leon Springs in the winters of 1959 and 1960. Look for more in a future post! 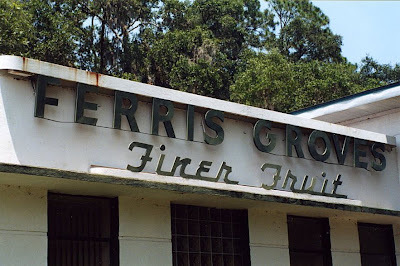 Spurning the interstate for the blue roads one day years ago, I swung through Citrus County on the way back to Central Florida and discovered the roadside shop for Ferris Groves in Floral City, Florida. The shady little town of 5,000 people was at one time "larger than Miami" according to the wikipedia entry, due to the phosphate industry. That industry went bust right before WWI, resulting in the creation of the charming slice of old Florida that is left today near the Withlacoochee River. 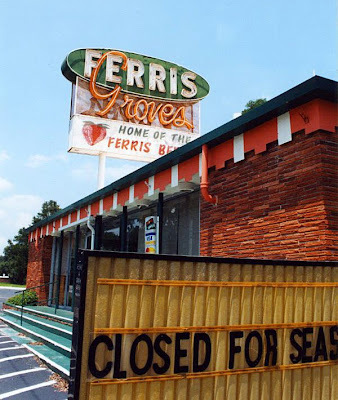 Ferris Groves gets its name from L.G. "Doc" Ferris, whose great uncle designed the Ferris Wheel. 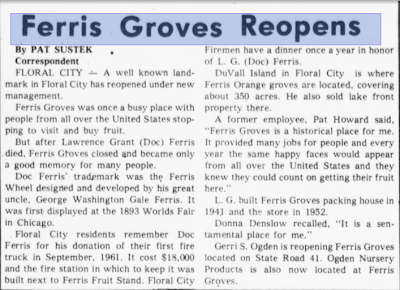 According to a 1979 article in the Ocala Star banner, Ferris built the packing house in Floral City in 1941 and the roadside store in 1952. The groves, originally planted in 1930, at one time covered 350 acres. 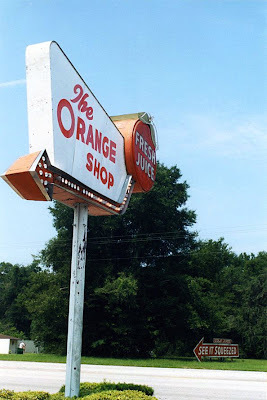 So if you find yourself on US 41 south of Inverness, stop by and see "The Finest Name in Citrus." 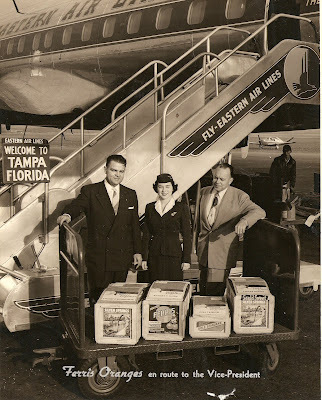 Ferris Oranges en route to the Vice-President aboard the Florida-based Eastern airlines from the archives of the Orange County Regional History Center. 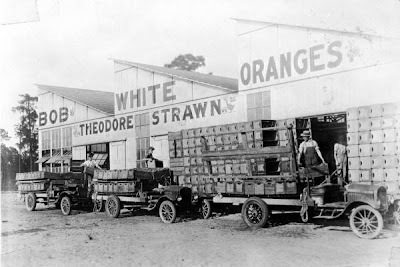 Labeling on orange crates says "Packed Especially for Dwight D. Eisnenhower, Richard M. Nixon, Ezra T. Benson (Sec. 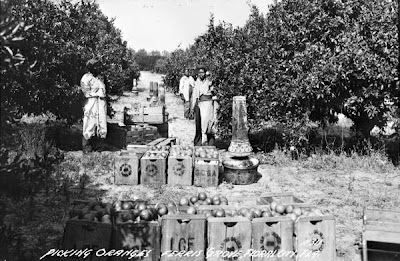 of Agriculture under Eisenhower) and J. Edgar Hoover"
One of the oldest citrus sellers in the state is just outside Gainesville in North Central Florida. The Orange Shop, in tiny Citra, Florida has been "growing, picking, hand-packing, selling and delivering fruit" since 1936! Located along US 301, it's hard to miss the place because for miles before and after the store, the highway is full of distinctive hand-painted billboards counting down the miles to the storefront. 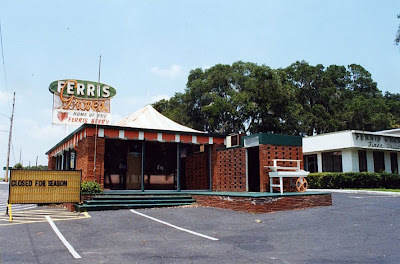 The business itself is located in what appears to be an old two-and-a-half story house with an orange and white striped awning across the front. Note the palm tree poking through the awning near the front. 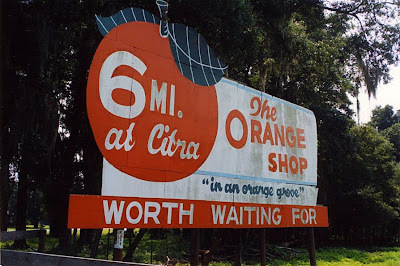 Citra is located in the furthest north growing point for citrus in the state and the Orange Shop claims to have the highest quality navel oranges in the world. In addition to oranges, the shop features Indian River grapefruit, orange blossom honey, jellies and marmalades and specialty sauces and dressings. 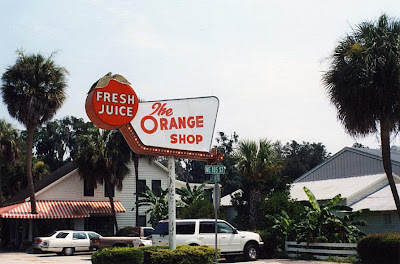 Long a Florida tradition, a stop at the Orange Shop is worth straying off the interstate to visit. Or just shop online! Sometimes you have to be careful what you ask for. I had expressed some interest in working on the history of my church in anticipation of the 70th anniversary of its charter with the state. Soon two huge boxes packed with documents and photographs were passed on to me by a relieved congregant who was glad to be rid of them. Suddenly 70 years of history was in my possession. As I started pouring through the boxes I found all sorts of interesting stuff; gas ration coupons from WWII, incredible one-of-a-kind photographs, intricate hand-written histories that spent 50 years in a time capsule. I spent months pouring through the material and scanning it to first create two time line posters. 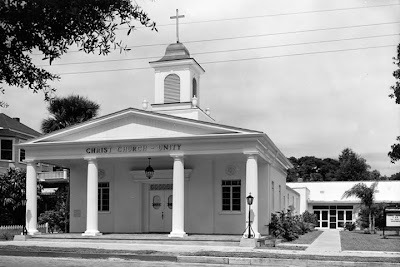 The time lines were designed to be placed in copper clad marquees that were originally hung on the front of the old church in downtown Orlando. 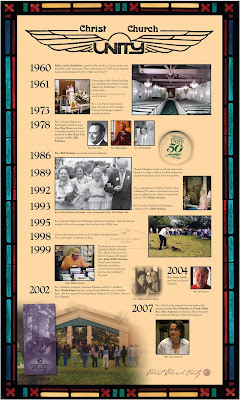 The time lines created the basis for a narrative that soon became a script for a short film about the church. At first it seemed like the project was not meant to be, as the brand new external hard drive on which I had downloaded all the video footage went bad and I had to start over. Then I had to re-scan all the still images a second time at a larger size. The deadline which was originally months away loomed ever closer but the piece finally came together with the support of some wonderful people. I can truly say the entire process was one of the most gratifying of my career and a record crowd turned out for the anniversary and watched the eight minute film yesterday. 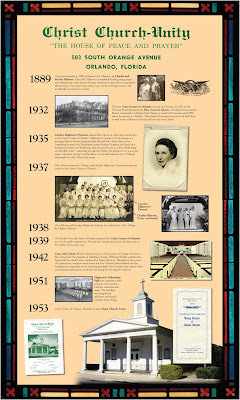 • The church originally met in Orlando's old Tremont hotel. In Eve Bacon's Orlando A Centennial History, it says this about the Tremont: "Captain J.W. 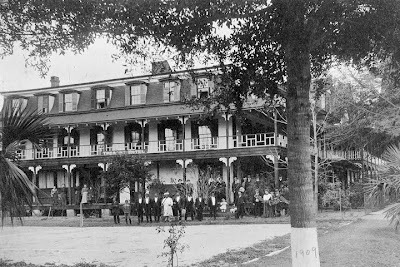 Wilmott completed his Tremont Hotel in 1895, the north end of which was the old Charleston House, and the south part was the three-story court house that was moved to make way for the new brick court house erected in 1892. The rear part of the hotel was part of one of the old Methodist Church Buildings." 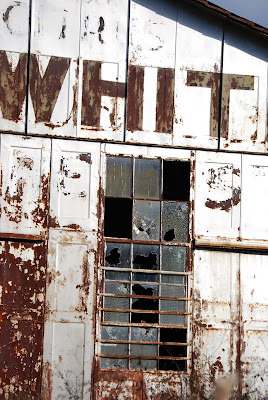 The building was torn down sometime in the late 1950s. 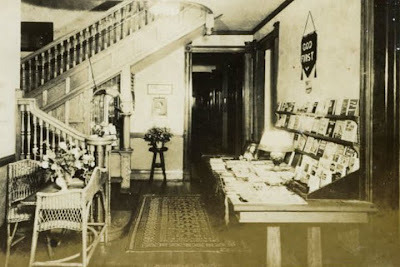 Included in the archives of the church were some old postcards which may show the interior of the hotel set up as a church, which are the only interior views of the hotel I've ever been able to locate. • The church was founded by Carolyn Hightower whose ancestors were among the first 500 European families to settle in the United States. A true Southern blueblood, her father worked for General Robert E. Lee in the Civil War at the age of 15. As a frail teenager, she was told she had little time to live, but overcame the odds and lived to be over 101! • The original church building was erected in 1942 amid the shortage of materials caused by World War II. Somehow the money and materials always appeared at the right time and the church became a downtown Orlando institution until the congregation moved to a larger campus in 1999. 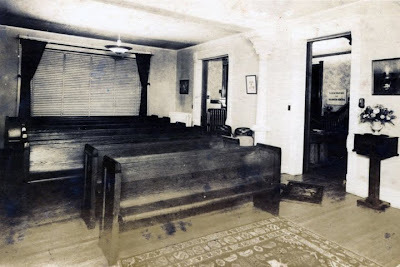 • The social hall of the old church was designed by architect James King, who was apparently a member. James King was son of Florida's first registered architect Murry King, who designed many of Orlando's most notable buildings. Surviving Murry King designs include the Angebilt Hotel, Park Lake church, and the Orange County Courthouse. The senior King died during the construction of the courthouse and his son took over in his absence. 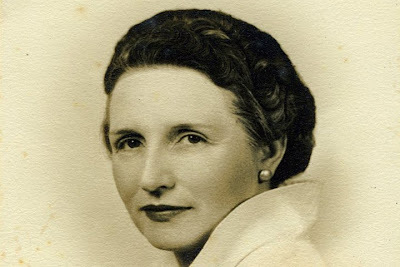 • Carolyn Hightower is another of Orlando's pioneering women joining Joy Postle, Ida Ryan and Isabel Roberts as twentieth century ladies ahead of their time. Hightower had three husbands and outlived them all. Her regal mansion on Lake Lucerne, from where she could keep an eye on the old church, still stands today. Interior views of the Tremont Hotel?